Please fill out this form to unlock your content. Over the past few years, accessible web design has become a vital concern for government. Over the past few years, accessible web design has become a vital concern for government. With the rise in lawsuits targeting inaccessible websites, governments of all sizes are seeking to upgrade their web design to conform with the Web Content Accessibility Guidelines (WCAG) 2.0, the World Wide Web Consortium (W3C)’s recommendations for best practices in accessible web design. But ensuring that your government’s website is accessible can be a daunting task. That’s why we compiled answers to commonly asked questions to facilitate your government’s journey toward accessible web design. What online barriers do people with disabilities face? According to a 2018 report by the Center for Disease Control, one in 4 U.S. adults – 61 million Americans – have a disability that impacts major life activities. That’s 25% of adults that are affected by inaccessible government services. People with vision impairments will not be able to access these digital resources, which are incompatible with assistive technologies. That’s why you’ll need to incorporate alt text for all your images, add captions and transcripts for your videos and multimedia, and develop online forms and documents that citizens can complete and submit online, using a screen reader. Is my government web design accessible? A 2017 study by the Information Technology and Innovation Foundation found that 85% of government sites are inaccessible. Inaccessible web design is prevalent on all levels of government, though more acutely among smaller local governments that lack the resources to proactively audit and upgrade their web design. There’s a good chance your government's website isn’t meeting accessible web design standards. To learn more about your State’s laws regarding accessibility and compliance, click here. Want to check for yourself to see if your government’s web design is accessible? We recommend browser plugins like this Siteimprove Accessibility Checker, which will flag any WCAG violations on your government website. Who benefits from accessible government websites? Accessibility benefits more than just people with disabilities. Think about the elevator: this technology allowed individuals with mobility impairments to access buildings, but it also made it easier for everyone to get to their desired floor! All people – regardless of their ability – benefit from accessibility-driven innovations. In the digital world, accessibility similarly enhances the all-around user experience. Government websites designed with ideal color contrasts, appropriate text size, and accessible online forms that can be submitted directly through the website, will create a beautiful government experience for all staff and citizens. In other words, accessible government web design is essential for some, but useful for all. 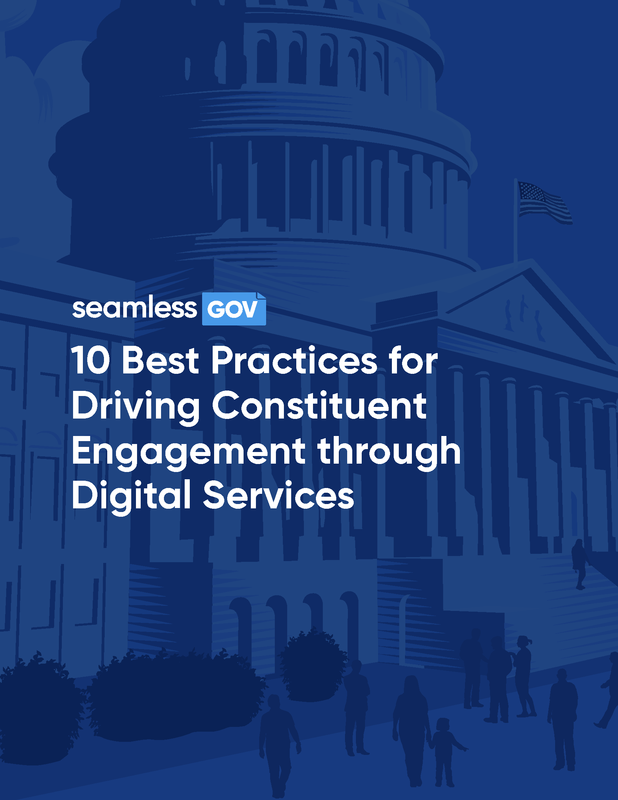 To learn more about best practices in accessible government web design, check out our new ebook: Best Practices for Driving Constituent Engagement through Digital Services. In this ebook, we draw from over six years of learning and insights from our government partners to recommend ten best practices for implementing digital services in the public sector. Request a demo of the platform.